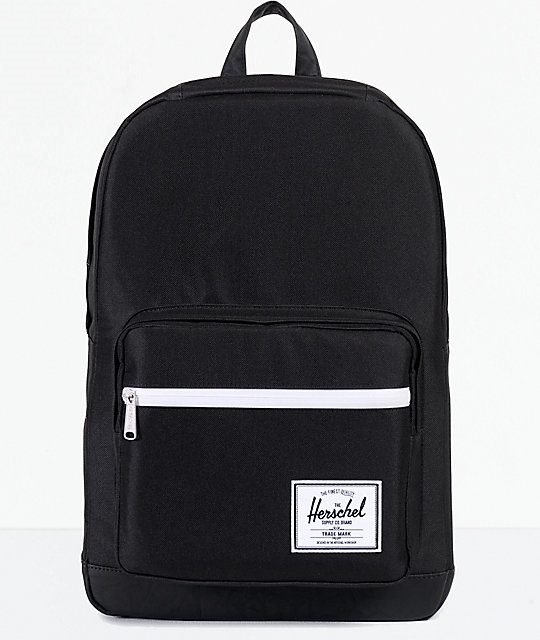 With a ton of pockets and a large volume main compartment, the Pop Quiz backpack from Herschel Supply Co. is perfect for any occasion. Whether needing more room for books or adventure supplies, this 22 liter backpack features a water sealed front pocket, a second front pouch pocket with smaller internal organizational pockets, a top fleece lined pocket perfect for glasses and a large main compartment with a padded and fleece lined laptop sleeve. A perfect backpack for anyone.